Home Biafra Featured Politics Biafra: The world should save innocent Biafran journalists from terrorist Nigeria! Biafra: The world should save innocent Biafran journalists from terrorist Nigeria! Nigerian politicians of Biafran extraction, who are actually Fulani stooges, who are operating in Biafraland, are in panic mode at the moment. They are looking for ways to stop the boycott of their elections by Biafrans. Apart from working so hard to see how they could bring Biafrans out to vote in elections (since they have vowed to boycott all Nigerian elections in their land), they are now also trying their hands at associating Biafrans with violence. This is what is playing out current in Enugu State following the last November 4 Local Government elections which Biafrans successfully boycotted. The Nigerian authorities are trying to kill two birds with one stone. After they used their police men to install and detonate a bomb in one of the polling centres, they turned back to arrest Biafran journalists accusing them of having a hand in the bombing. Mazi Chuks Egwuatu (an Enugu resident) was among the Biafran journalists that extensively reported the boycotted election and the bomb blast. They did this against Nigerian media blackout of the whole development, by which they did not want the world to know about the successful boycott. But Nigerian SARS abducted him; accusing him of being part of people that planted the bomb – a crime he did not commit. SARS is an arm of the Nigerian Police that was established specifically to terrorise the populace, and to force them to accept every wicked policy or action of government. Prince Dan, resides in Igweocha (Port Harcourt) in Rivers State of Biafraland, was sent to cover the election boycott from his office in the riverine community. He was equally abducted and accused of being part of those that planted the bomb. The two of them are currently being tortured by the SARS. 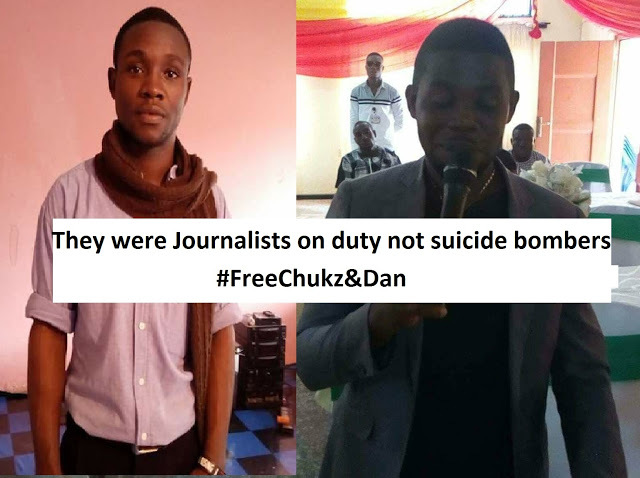 The world should save these innocent Biafran journalists from the Nigerian terrorist government, a government that would rather kill off the whole Biafrans through its genocidal actions than concede to them the right to self-determination and freedom of expression. Save the Biafran journalists now!